To ensure a better game experience, we are performing an update from June 13th 2:00 to June 13th 5:00 EST. During this time you will not be able to log in. The duration time is an estimate and may be extended due to technical issues. We really appreciate your patience and understanding. 1. The Mononoke and Onmyoji Crossover Event comes for us! Starting June 13th after the update until June 26th 23:59 EST, you'll be able to meet the Medicine Seller from the Mononoke world! This is the FIRST of only THREE opportunities you'll have to get these limited edition characters! During the event, players summoning with Mystery Amulet, AR Amulet or Jade, or clearing Medicine Seller’s Demon Seal, will have a chance of obtaining Medicine Seller shards. Collect 50 shards to obtain the limited SSR Medicine Seller! - The number of Medicine Seller's shards obtained from Medicine Seller’s Demon Seal is maximally 1 per day. - Players have to be level 15 or above to participate in this event. - Players have to be level 40 or above to wish for or donate Medicine Seller shards in your guild. 2. 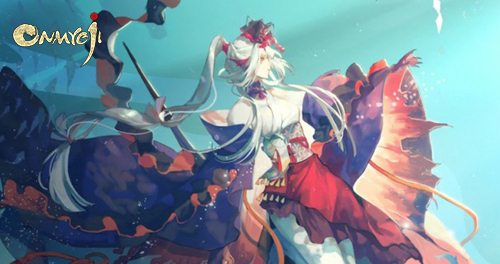 Say hello to Onmyoji's newest SR Itsumade and Chin! “The greediness of humans won't change, even if I have changed.” Itsumade is rumored to be a spirit with a pair of giant wings, living in the mountains. Every year, Itsumade grows a golden feather, attracting the greedy humans who would use whatever means necessary to take possession of it. After the update, SR Itsumade can be summoned by using Mystery Amulets, AR Amulets, or Jade. "I told you from the beginning, didn't I? These resplendent feathers are lethal." Chin is rumored to be a deadly poisonous bird with green feathers that feed on snakes. Its resplendent appearance is a warning to others of how dangerous it is. Other spirits don’t dare to come close, leaving Chin alone by itself. After the update, SR Itsumade can be summoned by using Mystery Amulets, AR Amulets, or Jade. 3. The New Event "Summer Fest!" is Released! It's time to enjoy the Summer Fest in the Heian World! Starting from June 13th after the update until June 27th 23:59 EST, you can get points via clearing different zones, summoning and etc. Use the point to exchange rewards! 4. New Skins on Sale! New skins of Itsumade: Spring Sakura and Ootengu: Dark Feathers will be available at the skin store after the update. This skin will be 20% off for the first week only! 5. Limited Packs on Sale!